Bipartisan polling firm shows Clinton has significant lead over Trump. Somewhere in Pennsylvania, Democratic presidential nominee Hillary Clinton smiles a cautious smile. All right: We do not actually know that that is what she’s doing. 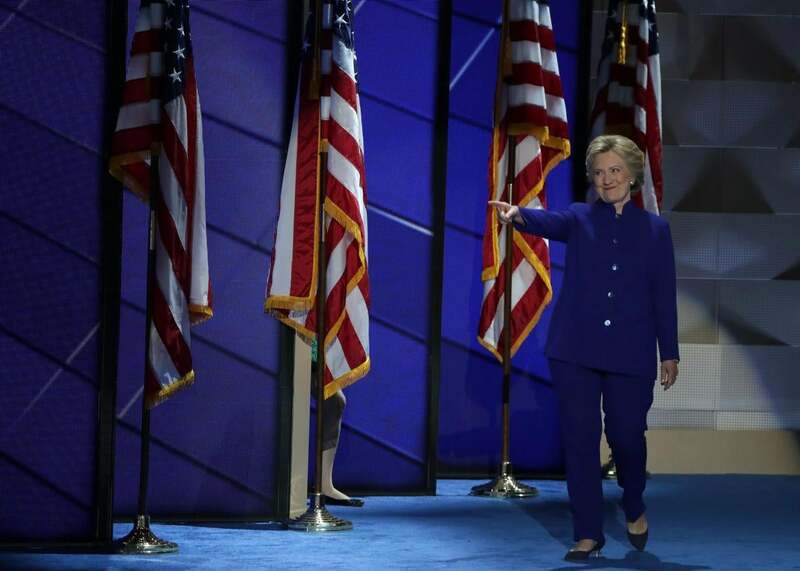 But we can imagine it might be so because the first post–Democratic National Convention poll shows Clinton 15 points ahead of her political rival, Republican nominee Donald Trump. The poll comes from RABA Research, a bipartisan polling firm, which conducted an online nationwide survey the Friday following the convention. This is but one poll, and there will surely be more to come in the 100 days between now and Election Day. Its significance comes from the fact that it is the first taken entirely after the DNC. For its reliability, we turn, as ever, to Nate Silver. : They're new-ish so don't know much about em. They polled the Missouri primary and did fine; hadn't heard of them before that.